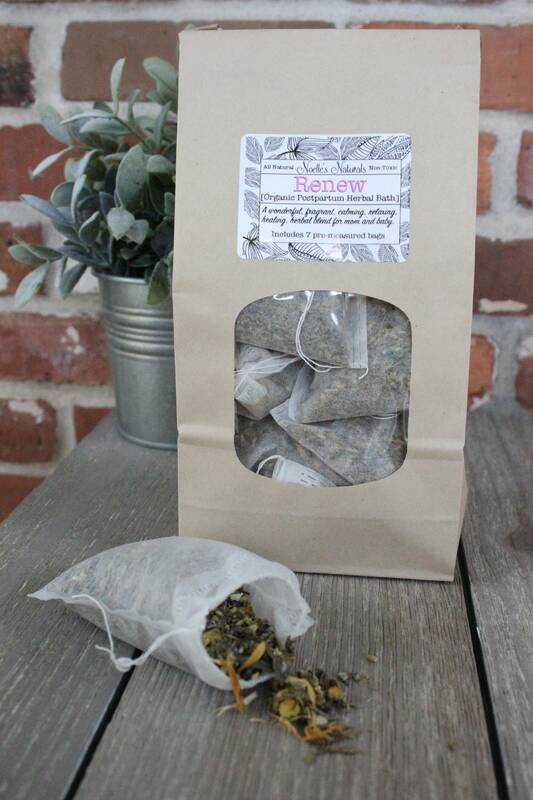 A wonderful, fragrant, calming, relaxing, herbal blend for mom and baby in the immediate postpartum, and for use in the weeks of recovery following birth. One bag contains 7 pre-filled sachets. Enough for a full week of soothing herbal baths. 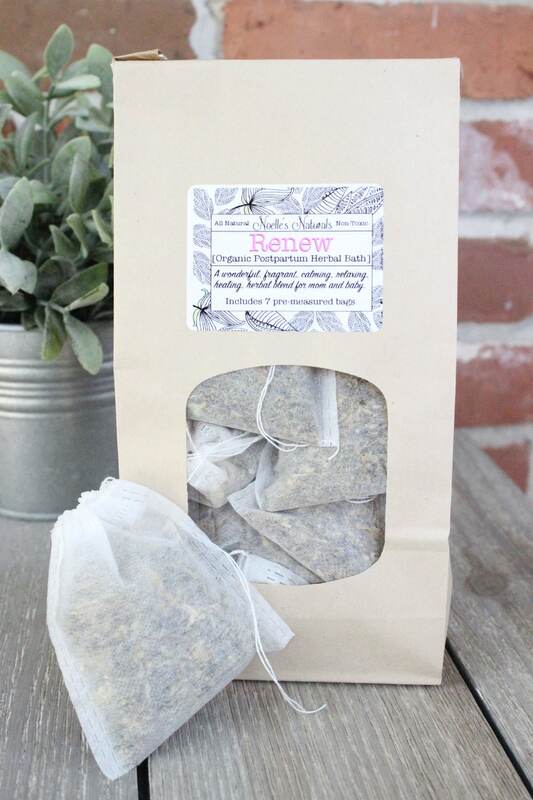 For use as a soaking bath or sitz bath: Place one bag in a bowl or pitcher, pour 8 cups of boiling water over the bag. Allow to steep, covered, for 30 minutes. Pour into your bath and enjoy. 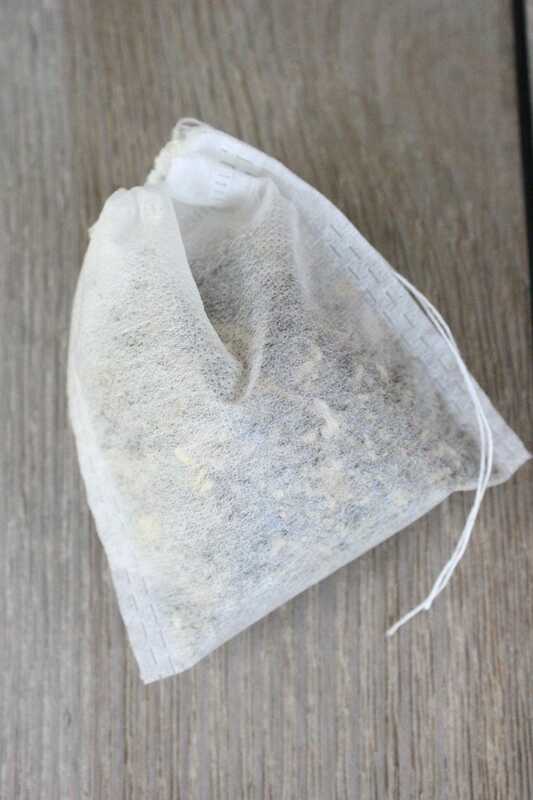 For use as an herbal compress: Soak a clean cloth in the herbal infusion and apply cold to the perineum as needed to reduce tenderness and swelling. Alternatively you can pour the infusion over maxi-pads, place inside freezer bags and freeze ahead of time to use as soothing ice packs after baby is born. For use as a peri-rinse: Fill a peri bottle with the strained liquid at warm body temperature. Squeeze over the perineal area to reduce discomfort and stinging. 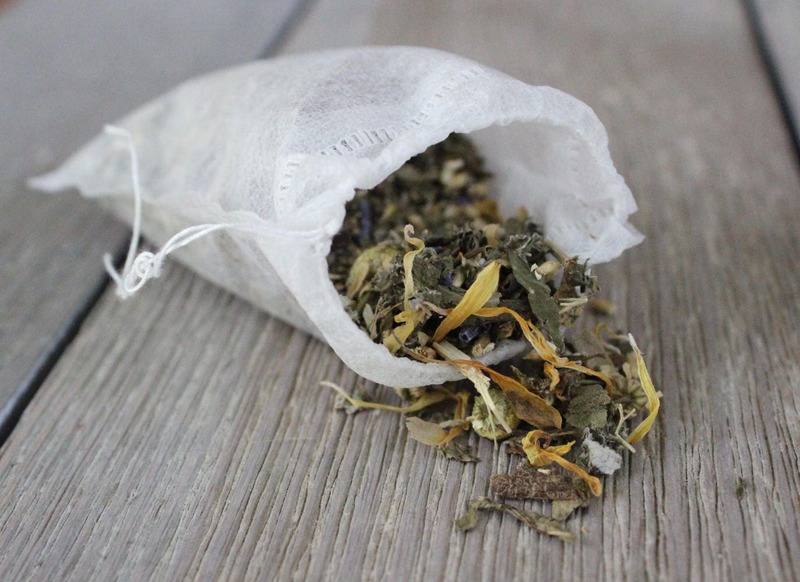 Ingredients: Organic Comfrey Leaf, Organic Chamomile flower, Organic Lavender, Organic Raspberry Leaf, Organic Yarrow Flower, Organic Calendula Flower, Organic Uva Ursi Leaf, Organic Plantain Leaf. Got a package for myself and a couple packages as gifts. Very convenient, having it all contained in the bags.